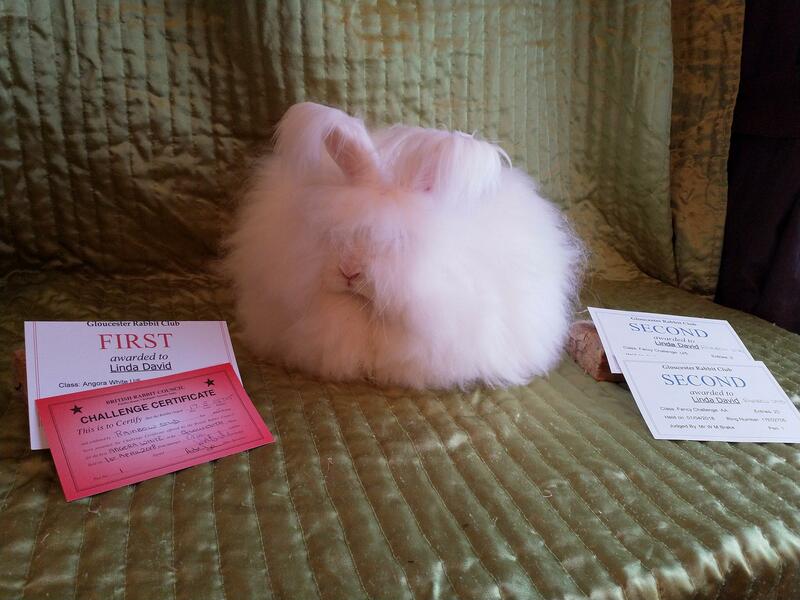 This is Guinevere, an English Angora rabbit and todays winner of the angora class at the Gloucester show. She belongs to Linda David of Rainbow Stud. 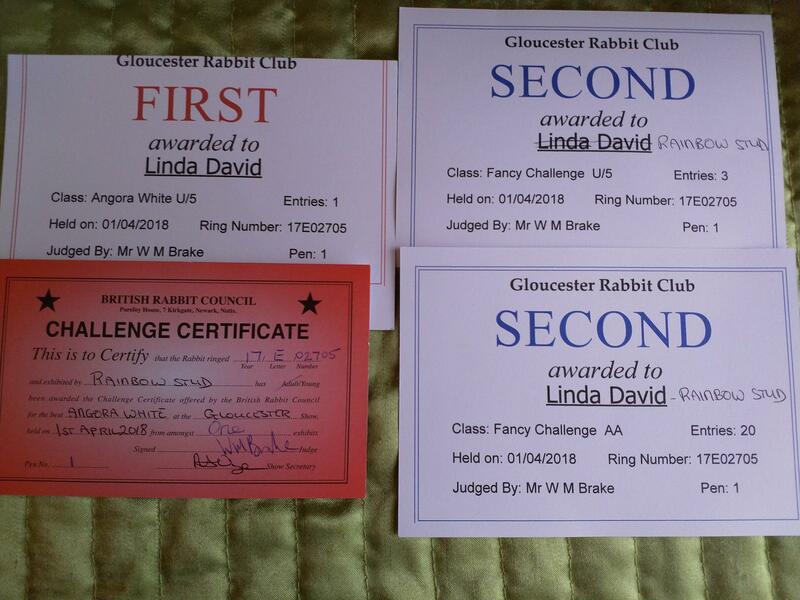 Guinevere got her Challenge Certificate (CC) and was second in the under five (u/5) challenge and 2nd in the grand challenge out of 20 rabbits. She was bred by Yvonne Hobbs-Fothergill of Willowcot Stud. The judging at the show was done by Bill brake. 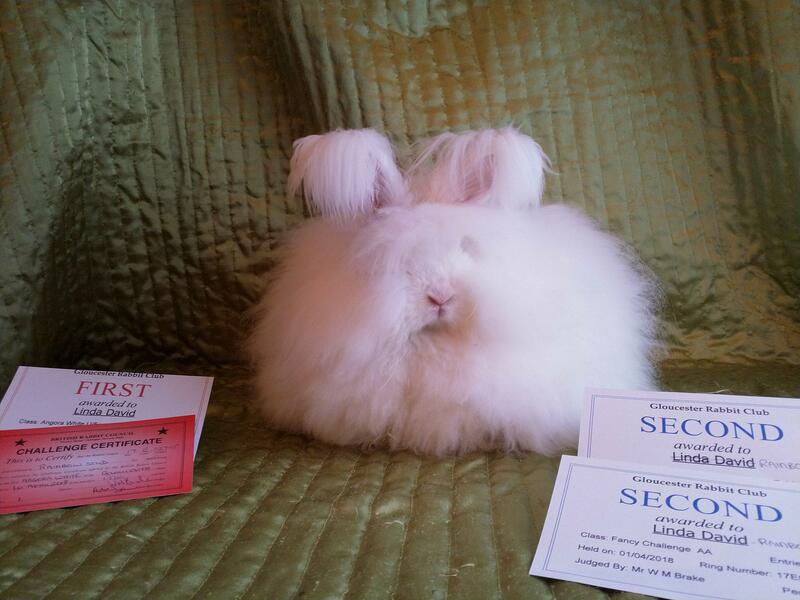 Congratulations, Linda that is a superb result. Posted 01/04/2018 by SM & filed under Rabbit Shows.